A few decades ago, the original design “shelf life” for a chemical processing installation was thought to be around 30 years. Since much of the UK’s process and chemical plant was built before the mid 1980’s, it is possible that a great many sites, and their built infrastructures, may well now be classified as “ageing”. “Ageing is not about how old your equipment is; it is about its condition, and how that is changing over time. Ageing is the effect whereby a component suffers some form of material deterioration and damage (usually, but not necessarily, associated with time in service) with an increasing likelihood of failure over the lifetime. Ageing equipment is equipment for which there is evidence or likelihood of significant deterioration and damage taking place since new, or for which there is insufficient information and knowledge available to know the extent to which this possibility exists. The significance of deterioration and damage relates to the potential effect on the equipment’s functionality, availability, reliability and safety. Just because an item of equipment is old does not necessarily mean that it is significantly deteriorating and damaged. 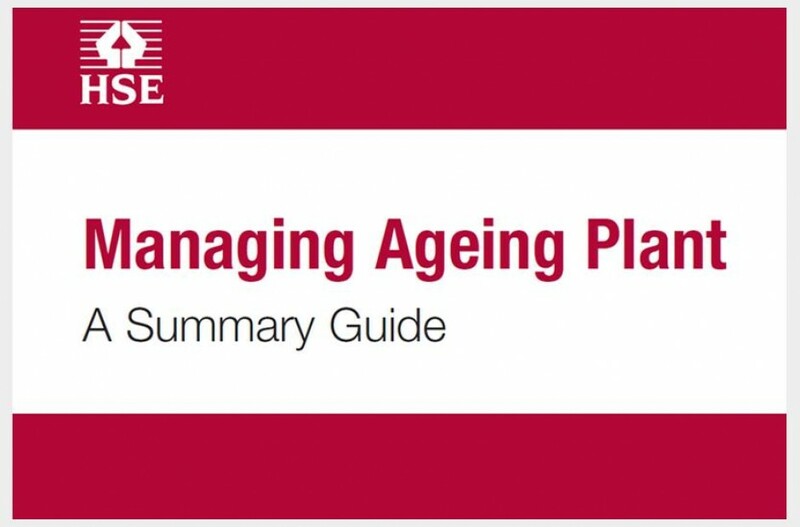 In summary, ageing facilities are those which are, or may be, no longer considered fully fit for purpose due to age related deterioration in their integrity or functional performance. Age related fatigue, corrosion and erosion degradation of facilities is a critical issue for the chemical processing industry. So much so that the Competent Authority has placed the issue of ageing facilities and Asset Integrity Management (AIM) right at the heart of its strategic inspection regime. This is not surprising given that research has proven that ageing mechanisms lead to increased loss of containment in chemical processing facilities. Technical plant failures have been found to account for around 50% of “loss of containment” incidents due in the main to fatigue, erosion, corrosion and other ageing plant issues. 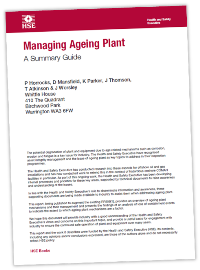 The research found that these “ageing” related incidents lead to 183 injuries, the loss of 11 lives and financial losses of £170 million plus – bringing into sharp focus the very serious impact on health & safety and commercial that ageing plant has. It is, therefore, crucial that the Asset Integrity Management Systems (AIMS) of any processing site fully addresses the critical issue of the impact of ageing mechanisms on all site assets. Processing sites usually have well established, and robust AIMS for their Primary Containment Systems, Control & Mitigation Measures and Electrical / Control and Instrumentation (EC&I) Systems. 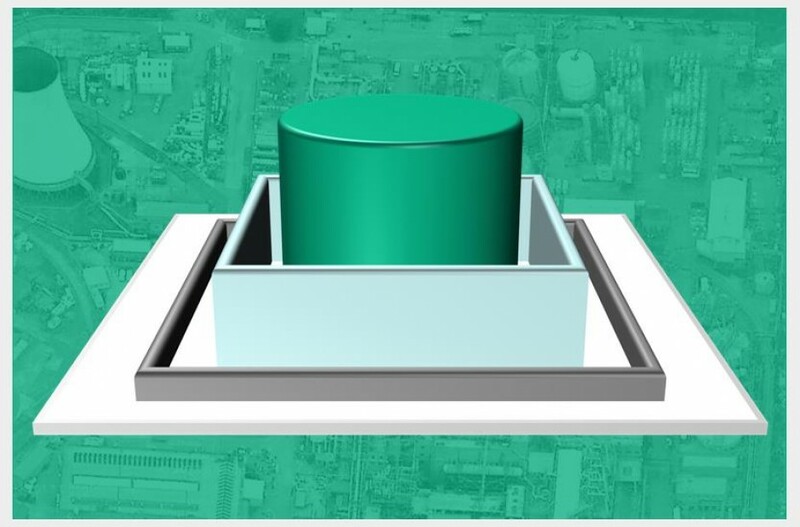 Loss of containment incidents arising from structural related events, whilst less frequent than for the above asset categories, are usually of high impact and can often have catastrophic consequences. Despite this, the integrity management of ageing site built infrastructures (or “Structures”) is often less well defined than other asset categories. Incidents arising from ageing infrastructure failures usually have a significant impact on site safety and business performance for the organisations involved. For example, a processing facility was recently prosecuted, and received a heavy fine, for a well-publicised incident arising from the failure of a corroded steel gantry. It is therefore imperative that each processing facility should check the efficacy of its AIMS with regard to the site built infrastructure. Suitable and sufficient competent resources should always be allocated to the inspection and maintenance of site buildings and structures. 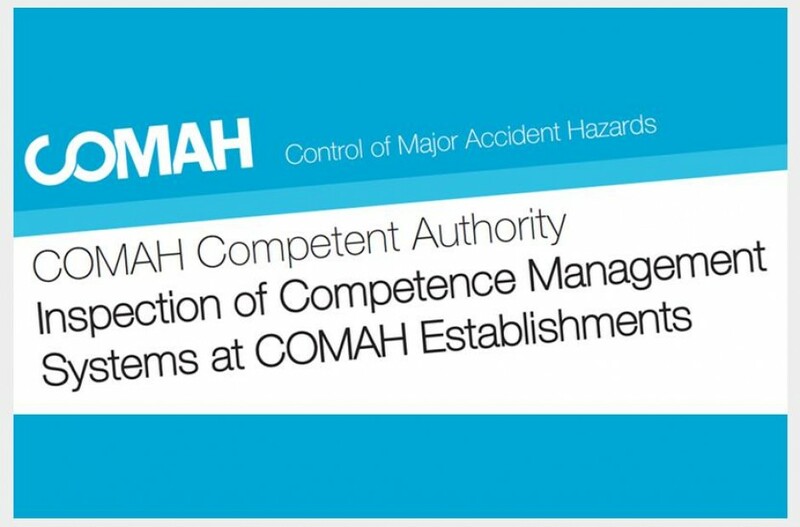 At Comah Structure Inspections, we specialise in providing the competent support that chemical processing sites require in order to establish robust asset integrity management (inspection and maintenance) of ageing buildings and structures.